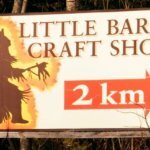 This shop is conveniently located one block off Highway 21, on the French Bay Road. Carol & Orlyn carry a variety of art & craft work from Aboriginal people throughout Ontario. This includes sketches and oil & water paintings, sculptures, beadwork, silver jewellery, leather products, woodworking & some clothing items. Many of these items are locally made in this community, including quill boxes and grass baskets. 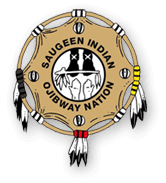 © 2017 Saugeen First Nation Economic Development Designed & hosted by: Gem Webb Internet Marketing & Web Design Inc.